You've spent many (possibly frustrating) hours poring over beautiful but not-quite-right designs. Or maybe you're a self-proclaimed indie bride and you haven't found anything that really matches your vision. Maybe you're looking for a designer to help tell your love story in a way that a pre-made design can't. I'm here to make sure your paper details are so recognizably you, and that you'll love them forever. 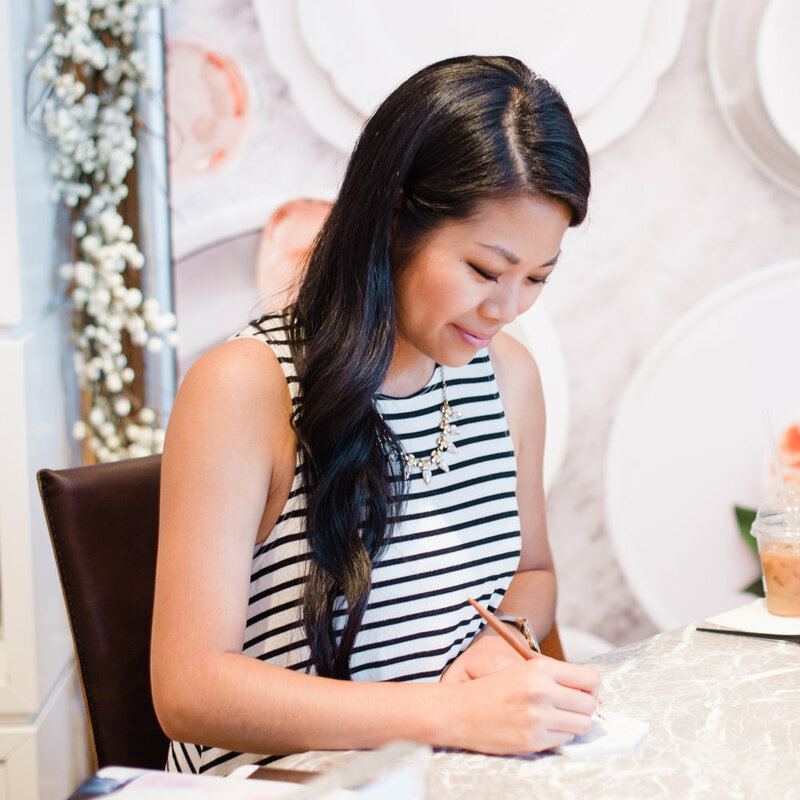 I’m Grace Avila, stationery designer and calligrapher. I’ve always been a crafter, artist, and creator at heart, even from a young age. I was that kid that bought all sorts of craft and DIY kits, I was in a mural painting club in high school (nerd alert), and I have a BFA in graphic design. Grace Niu Design was created because I love paper and print design and want those to live on in our electronic, fast-paced society! If you love your invitations and they fit you to a T, I know you'll hang on to those precious pieces of paper for years to come. My formal training in graphic design combined with my calligraphy experience results in modern, detail-oriented, artful and stylish designs. Your stationery will be a lasting memory of your engagement and wedding, so let's make sure it represents you and captures your style! I love making and drinking coffee - I was a barista for a few years. I don’t discriminate between white, red and rose, but I will not drink moscato (I don’t like super sweet things). I love Thai food, Mexican food, and anything sour/spicy. Most people have a separate stomach for desserts, but I have a whole separate stomach for noodle soups. I clearly love food - most of these facts were about food or drinks. SEE WHAT THE SWEETEST CLIENTS SAID ABOUT WORKING WITH ME! "Grace's work was exceptional from start to finish. From consistent communication, to her creative eye and passion for what she does, she made it so easy to get wedding invitations complete in all the the ways my wife envisioned but even better than what she imagined. One of my wife's favorite details of our wedding was Grace's work and design. That really says a lot! Thanks so much Grace!" "I cannot put into words how much I loved working with Grace on our wedding paper goods and more. Starting with the time she took to explain the process on our first call to working side by side with us on making our paper dreams come true and being an amazing partner. She designed, printed and delivered save the dates, invitations and even koozies that helped bring our wedding day to life. You don’t have to look any further! Working with Grace will be the best decision you will make!!!"